Fun for the entire family! FREE activities include: Zorb Ball obstacle course, bungee trampoline, bounce houses, pony rides, RC car racing, carnival games & more! The Dayton Fall Festival is an opportunity for families to enjoy weekend fun at a minimal cost. EVERY ACTIVITY IS FREE. Children of all ages will enjoy a petting zoo, pony rides, carnival games, inflatable bounce houses, a mini-hayride, family crafts and much more. After you work up an appetite, check out the local food trucks on site and purchase some delicious food & yummy treats! 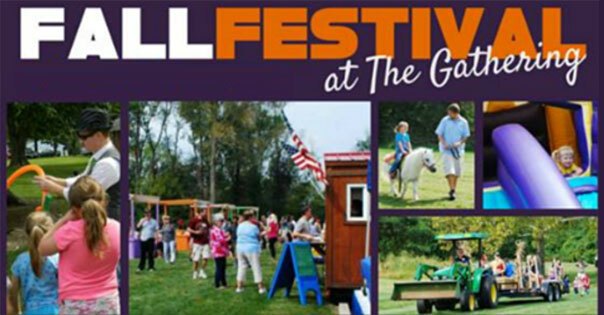 Find more events like "Dayton Fall Festival"
The Gathering is a place where grace and people meet. Our mission is to bring hope and healing to a broken world through the message of Jesus Christ.